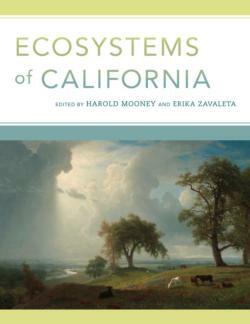 Ecosystems of California (edited by Erika Zavaleta and Harold Mooney) and published by UC Press is an award winning comprehensive reference guide for the Golden State. The book provides a deep dive into the functions, management, and diversity of each ecosystem thanks to contributions from over 150 different authors. An overview of California’s natural ecosystems, the threats they face, and available policy responses was compiled as a supplement to Ecosystems of California and an amazing series of 28 videos!